The Radio show, 70's Saturday Night is no longer on the air or transmitted via internet. These are placed here for the memories and for those who remember the show and enjoy hearing these small tidbits again. Notice: When you press play, you will experience a delay while audio file downloads. All the Tid-Bits are recorded in MP3 format and are streamed to you for your listening enjoyment. Simply use the players above to listen and navigate through all of the Tid-Bits or choose the bottom player and listen to them all one after another. 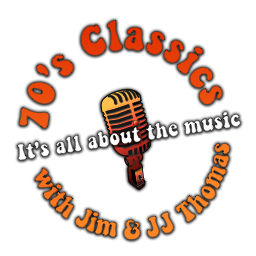 We hope you enjoy these TidBits from our past radio show, 70’s Saturday Night. We may add new ones as time goes by, check back for updates.